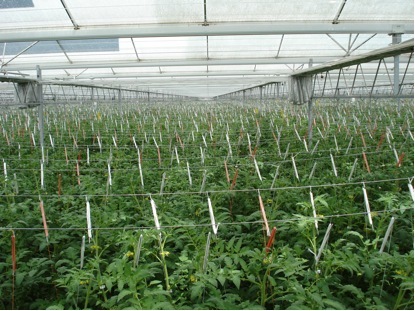 The main greenhouse crop is big cluster tomato; while in a smaller area of the greenhouse cocktail cluster tomato is also cultivated. 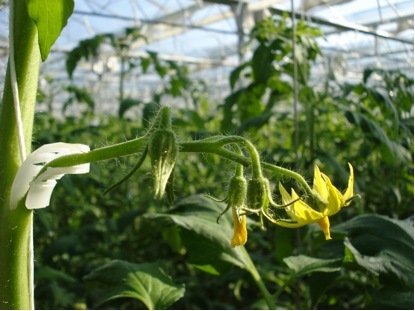 The method for growing the plants is hydroponics, by following the principles of Integrated Crop Management. 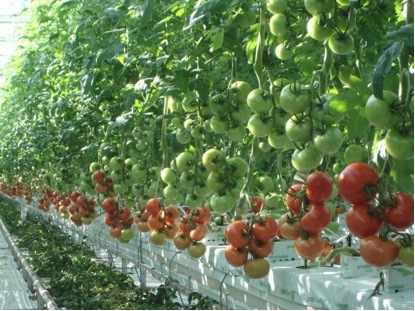 The growing strategy and practices that are followed demand an assessment and synergism of many parameters, high knowledge of plant physiology and behavior, high experience and technology in this type of growing. 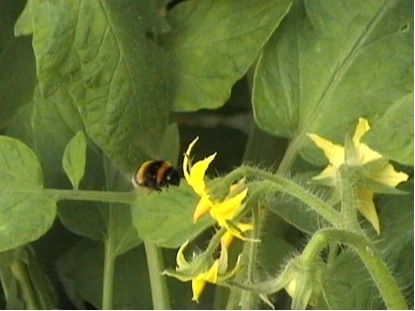 Thus, Greek and Dutch scientists have developed a crop model based on the Dutch specifications and at the same time adapted on the Greek conditions. This model is continuously developed and improved through a non-stop built up experience and training of the personnel involved. 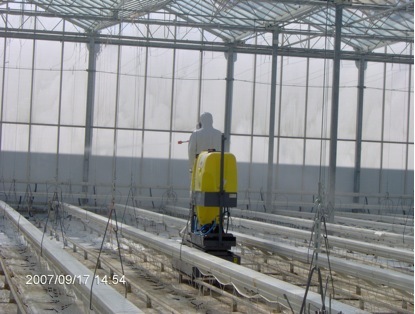 Each crop season starts after a thorough cleaning of the previous crop remains and disinfection of the greenhouse, in odrer to minimize the risk of insects and diseases attack. 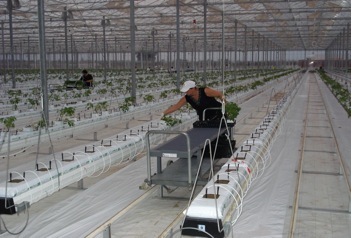 After cleaning of the greenhouse, transplanting takes place by using plants that are produced in Greek and foreign nurseries which are strictly selected to meet the standards that the company has set. 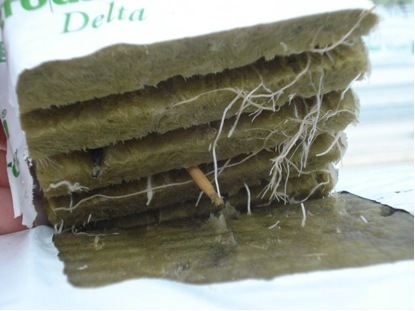 Plants are planted on hydroponics substrates of rock wool which are replaced every year. Irrigation is carried out by well water, systematically checked for its quality that is disinfected through a UV system and recycled. 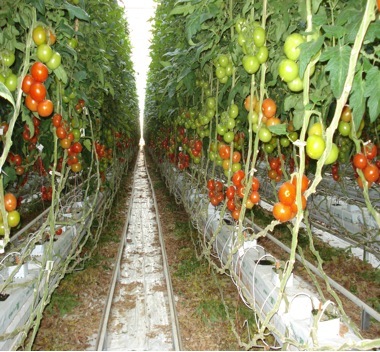 All plants are fertiled with the best hydroponic fertilizers through an automatic network setting and checking quantity, solubility, EC and pH of the solution. All cultivation practices (twisting, pruning, lowering, deleafing, harvesting etc) are carried out in a professional way by trained stuff using special high tech machinery. 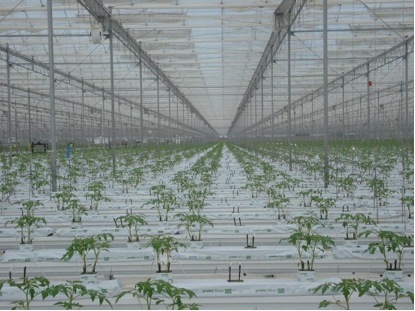 An indicative example is harvesting, which is performed by using special harvesting cars which are rolling on pipe rails installed allover the greenhouse area. The use of those special cars facilitates the harvesting procedure which is made easier for the workers, allowing them to have a better optical view on each cluster harvested. 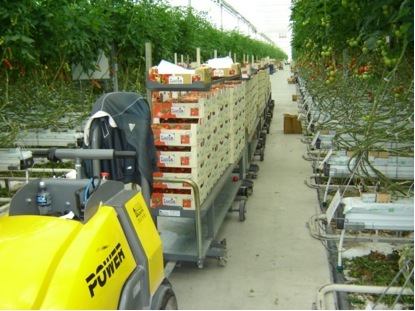 Harvesting cars, after loaded, are connected to each other, creating a “train” which transports the harvested produce at the packing hall by the power of a special electrical trolley. 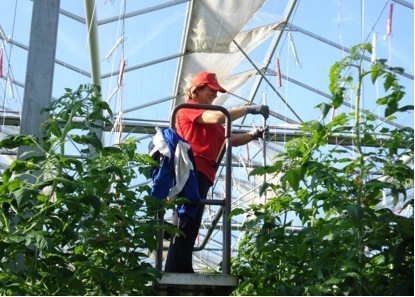 All cultivation activities are coordinated and supervised by experienced scientific stuff, including a Dutch grower, while in the same time Greek and Dutch specialists are consulting on crop protection, fertilization etc.